Gulkand Super Tower is an ayurvedic combination of rose and sugar with undeniable meditative qualities and is consumed for experiencing its soothing effects in scorching heat and summers. 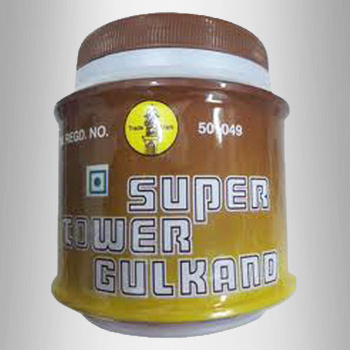 Gulkand Super Tower is a highly energetic blend that helps in relieving from several body aches and its regular consumption acts as blood purifier thus strengthening the immunity of the body. Mouthwatering taste of the product is highly admired and appreciated by our valued customers. 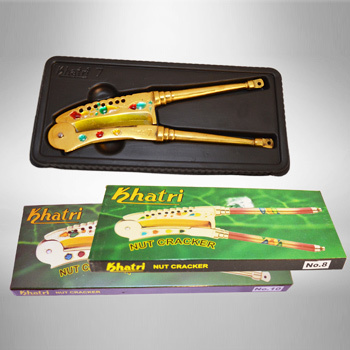 Khatri Nut Cracker is a specially designed mechanical tool that is used for cracking nuts. It is the result of truly exceptional craftsmanship. Wholly made by hand with Mina Nakshi. The material used is Brass. The skilled craftsmen carefully insert razor sharp blades forged from high quality carbon steel to break the toughest nut around the world. Mangoes are the juicy seasonal fruits, rich in sweetness with mild tartness which are available in various varieties depending on their taste, color and breed. They are famous all over the world because of their high nutritional value and mesmerizing taste. 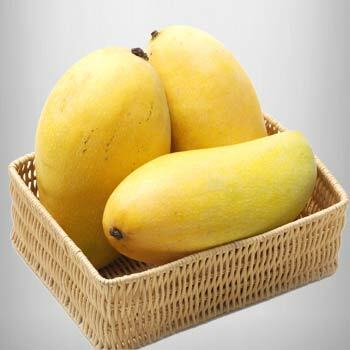 Mangoes have polyphenolic anti-oxidant compound that provides protection against colon cancer and also they are the good source of vitamin-A and flavonoids like beta-carotene, etc that helps in fulfilling the body requirement for different nutrients.